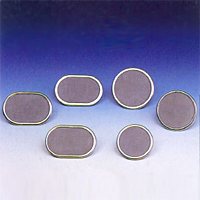 Stair Type Filters (01) - Li Chen Filter Equipments Enterprise Co., Ltd.
For many tears firms in the synthetic textile industry have wished to raise product quality and develop high-grade fibers, and have begun by seeking to improve filter performance. However it always seems that filter screen modifications are unable to meet the needs of spinning conditions, and much effort must be expended for meager results. In the end improvements to equipment entail much wasted effort and expenditures. In light of this situation, our company has developed a number of new products that have already received Taiwan merman, and Japanese patents. These Products not only fix some of the shortcomings of conventional filters, they also insure that all parts of the pack body's filter assembly are subjected to uniform pressure, thus reducing the problems of flying fibers, weak fibers, and broken fibers. Apart from this, excellent filtration results can be had without needing to modify spinning machinery; high quality product can be generated with a low rejection rate.